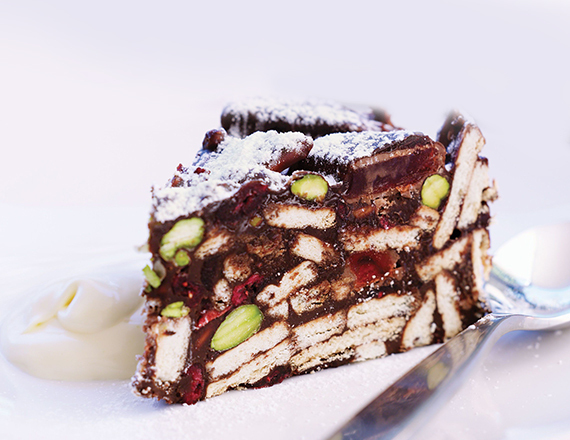 Mix together the biscuits, melted chocolate, Yotti’s Turkish Delight, cream and nuts. Pour ingredients into a 25 cm diameter springform pan, lined with greaseproof paper. Chill until set, about 3 hours. Slice thinly for serving.